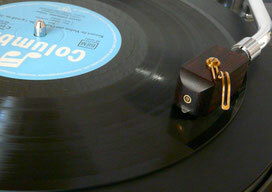 Feb. 2012 - Mono cartridge "EINS" 1st generation DT101l - Combination of Wood, Bone, Brass, Diamond! Aug. 2012 - The old version of the handle looked quite elegant. (Mono 2nd gen.) But it needed a new shape which is giving our system additional stability and usability. 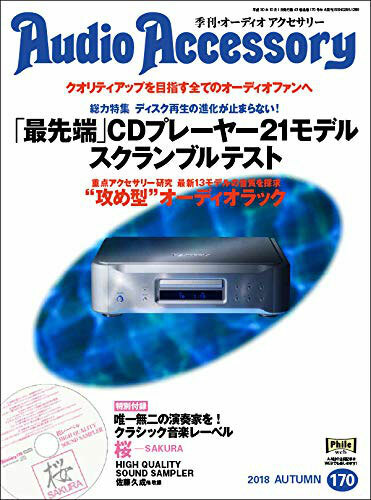 It is shorter than the old one and is designed ergonomically. 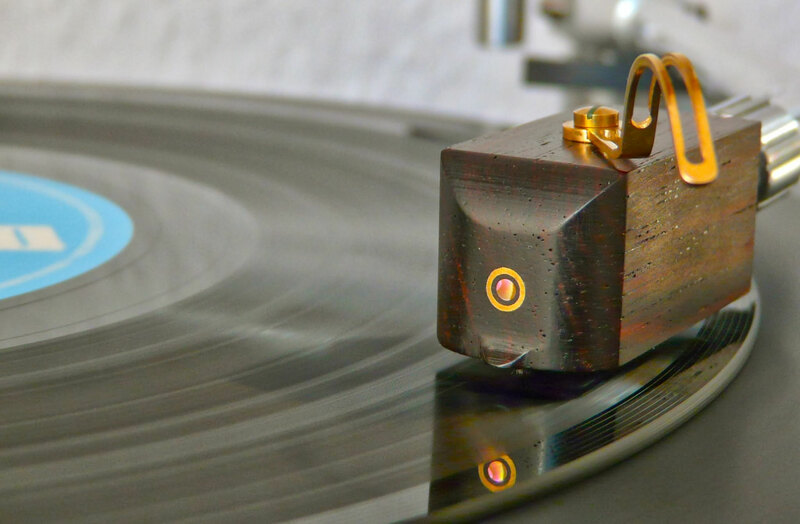 Sep. 2012 - Mono cartridge "U-Type" 1st generation DT101u A half-inch system from the mono 2nd generation. 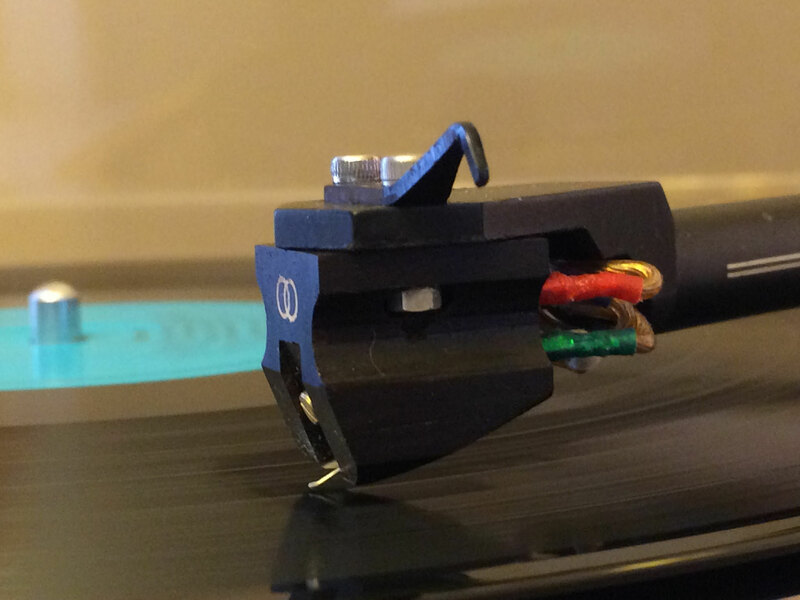 The example left is a DT101u+custom made headshell for Ortofon RMA297. Approx. 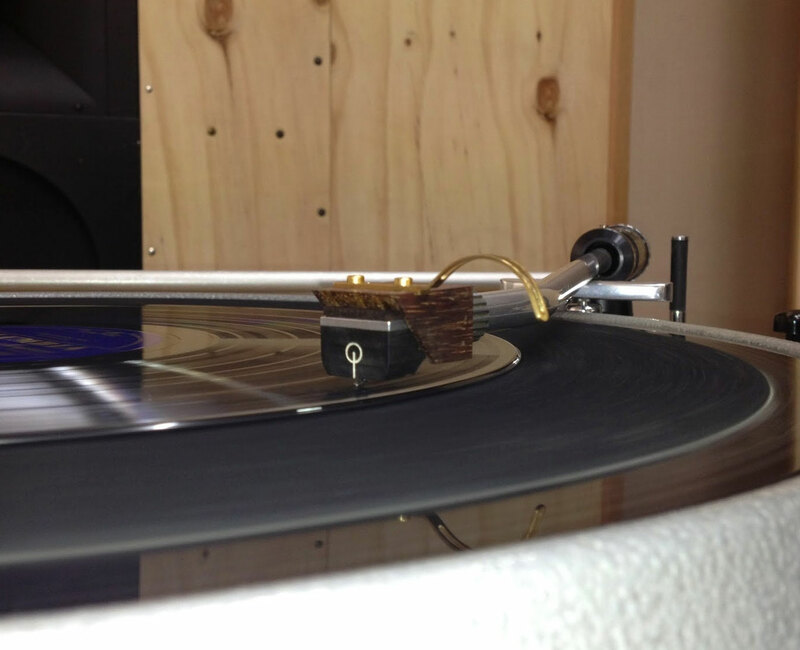 31mm from diamond tip to front of tonearm, compatible with Ortofon SPU-a, EMT TSD15. 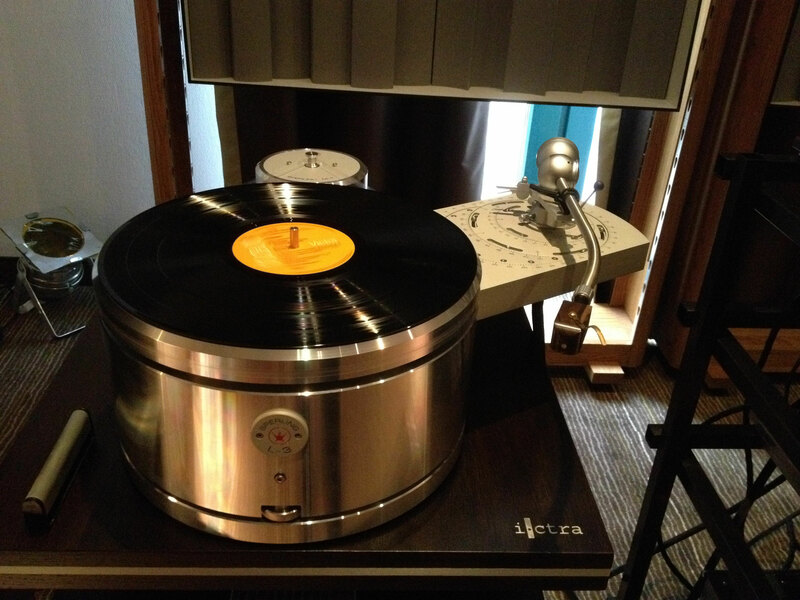 Neumann DST, DST62 etc. 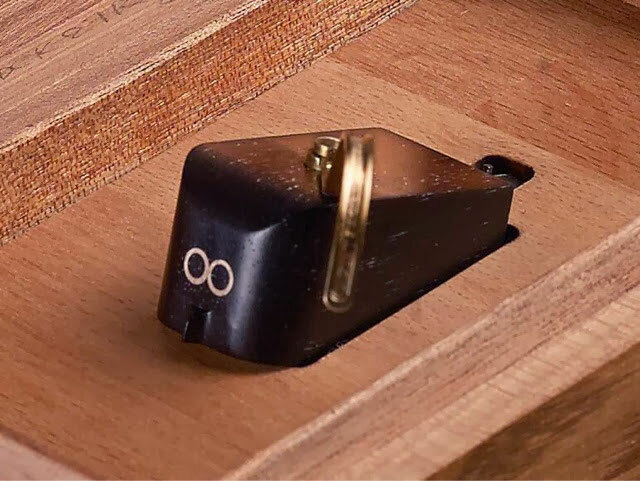 A favorable failure - It was the first attempt to engrave a stereo symbol on the head of the cartridge case. Tedeska has not yet had any stereo pick-ups. But, unfortunately, the first try failed due to a miscalculation of distance between the centres of two rings. Anyway, the customer was delighted with the result. 1. 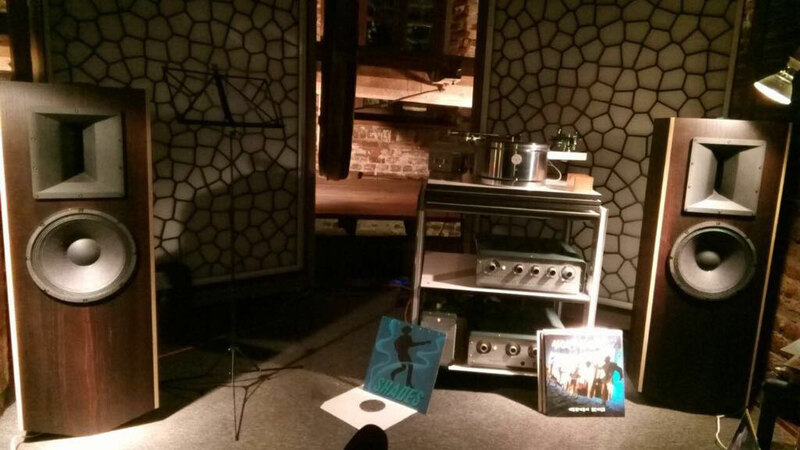 Nov. 2014 - Krefeld AAA Germany. 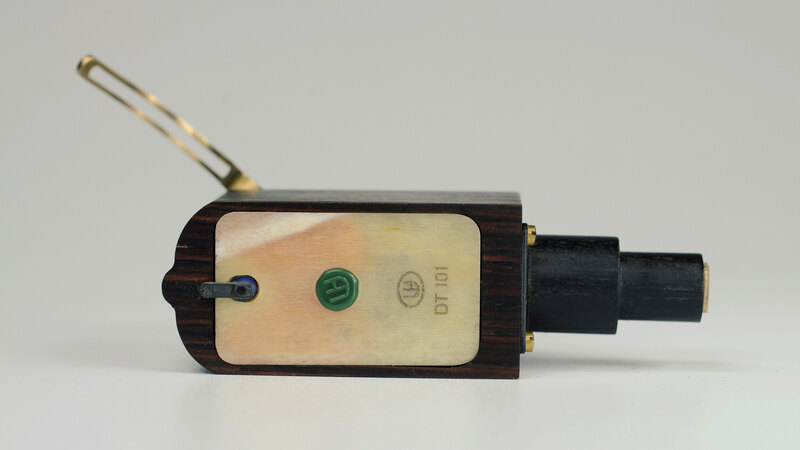 Tedeska mono-cartridge "EINS" was first introduced to the public. 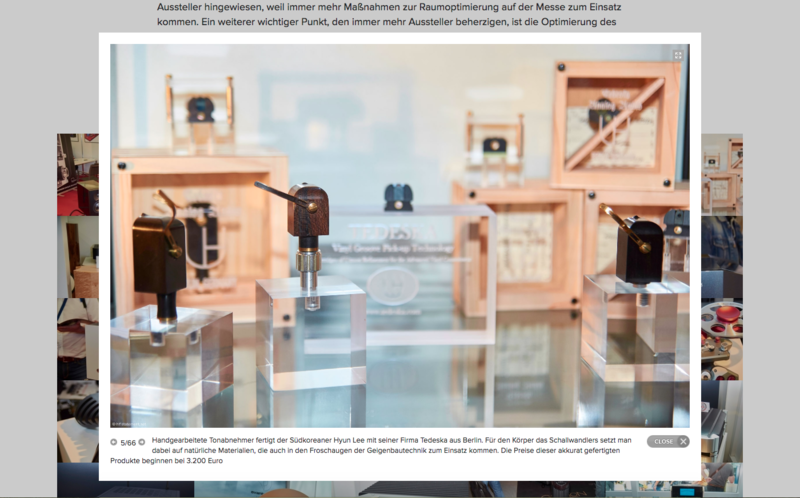 Thanks to the generous support of Reinhard (Thöress), it was deployed in the exhibition for several hours. 13-17. May. 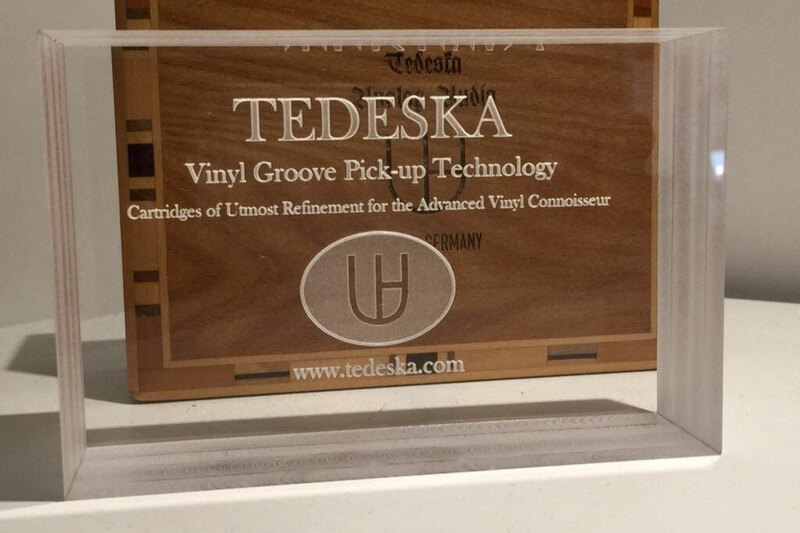 2015 -Tedeska cartridges (mono & stereo) were presented for the first time officially at an Exhibition. 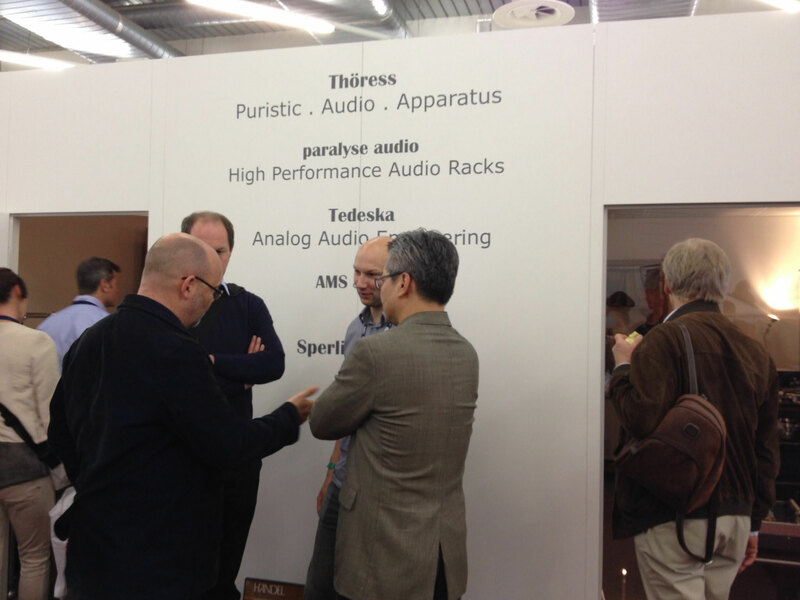 The 2015 High-End in Munich Germany. New materials: upgraded suspension & damper. Shortened length of cantilever. 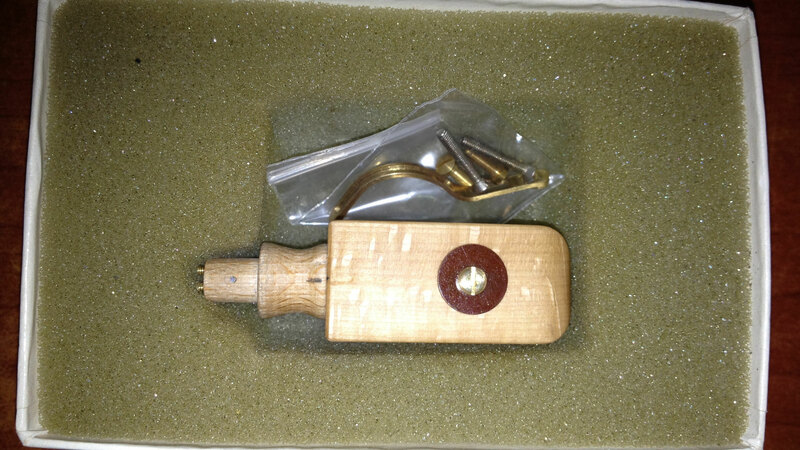 Bone part on the front is removed (cf.Prototype 1). 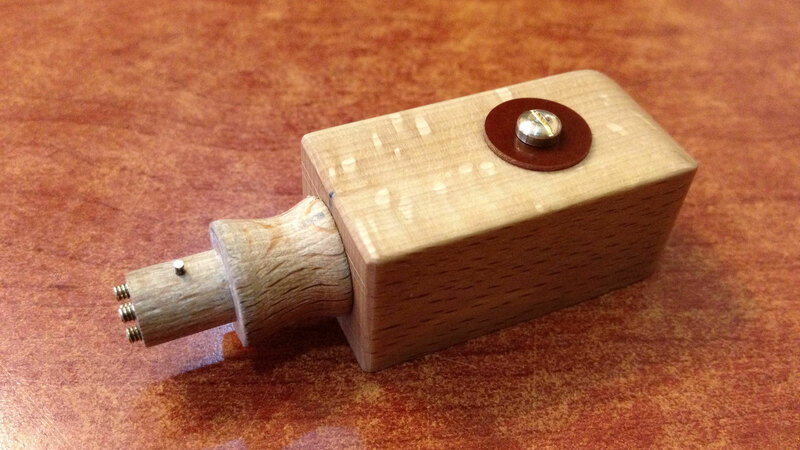 A round recess each side for easier manageability. Mar. 2016 - The examination was accomplished. An elderly gentlemen was in my laboratory and asked and observed a lot. Irrespective of age or stage, an examination has always to do with butterflies in the stomach. Anyway, I have taken a step forward. 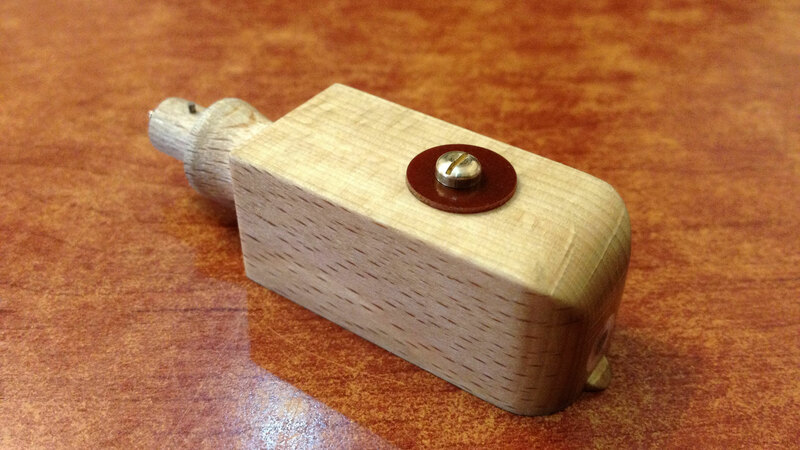 I am now a member of the Berlin Chamber of Crafts. The role "design and construction of pick-up systems" must have been created for me. 5-8. May. 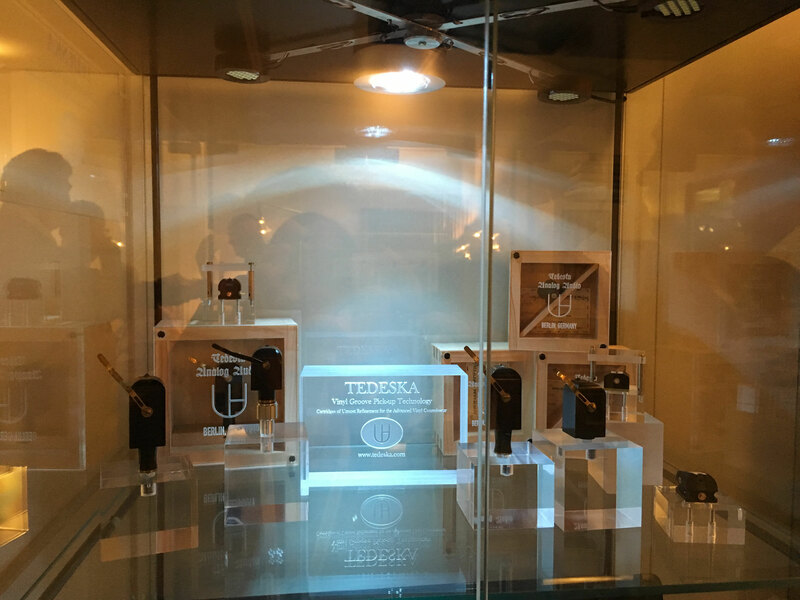 2016 -Tedeskas new cartridges at the 2016 High-End in Munich Germany. 30. May. 2017 -Tedeska on Fairaudio fair reporting. 12. June. 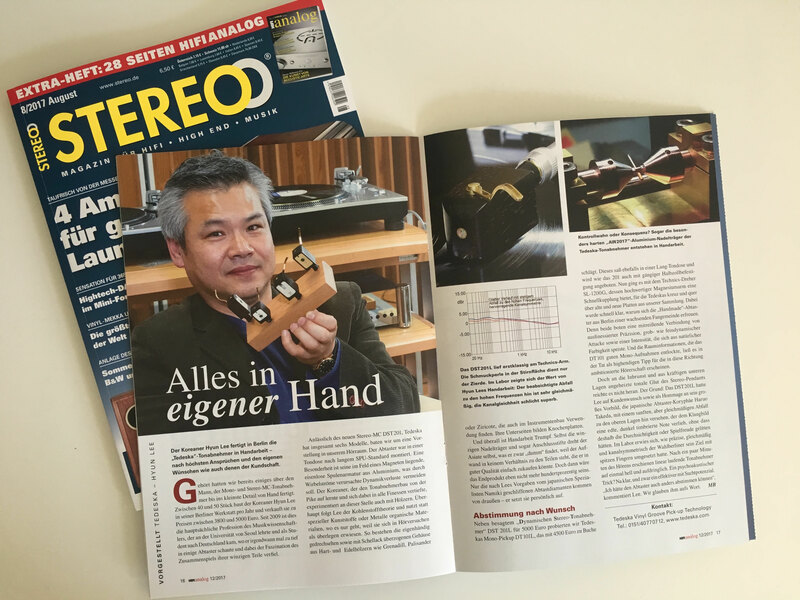 2017 - Announcement released in the magazin "STEREO"
17-19. 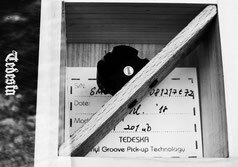 Nov. 2017 - Tedeska made a debut in Poland at the kind invitation of the Moje audio (Poland) at Audio Video Show 2017 in Warsaw. Warsaw was an extraordinarily beautiful city with extraordinarily kind people ; On hearing that my wife caught a chill, everyone gave me some cold pills, so that my wife didn't know what to take first. 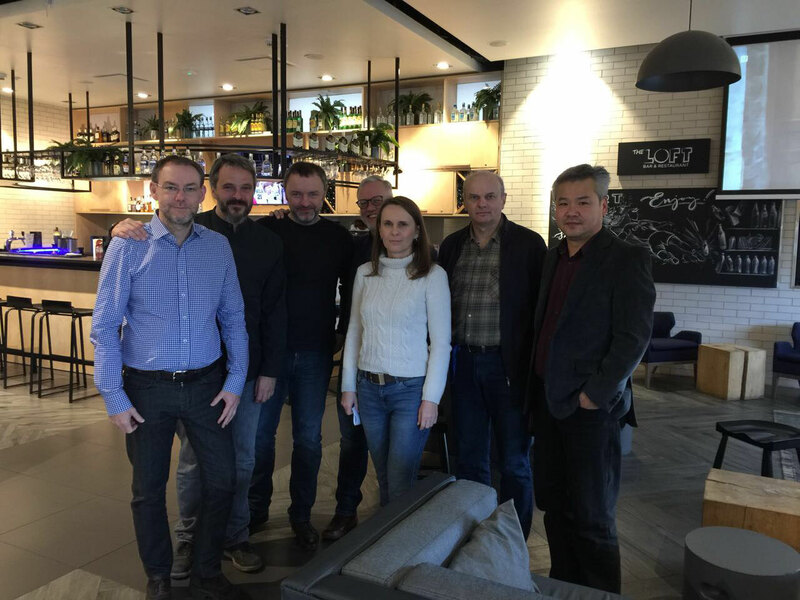 Thank you Krzysztof, Renata, Robert and and and you all. 26. Nov. 2017 - We have finally been able to have a „real“ Homepage. Bye blogspot. Bye google! 16. Jan. 2018 - As of now, every Tedeskas will get a uniform for the way to its new home. Packaging boxes, designed by Francesca Lee, eventually arrived. 21. 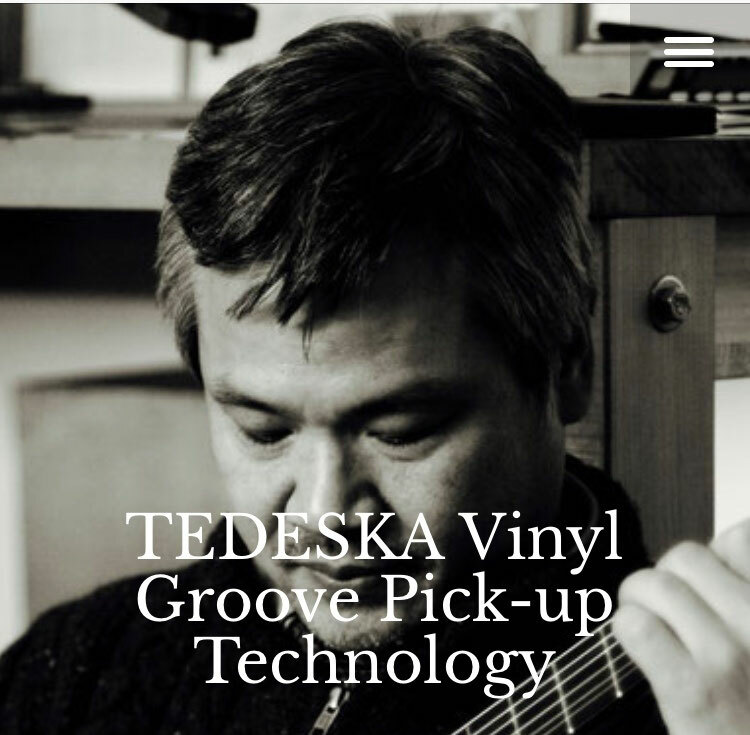 Jan. 2018 - Tedeska on STEREO Fair report by Michael Lang. 1. May. 2018 - The genesis of "Cedars" of TEDESKA - My guitar, the Antonio Marin Montero, is a spruce one. I like the sound of the guitars which have a sound board made of spruce. The timbre of them is clear but still filigree. Since I could call my Marin my own, I've loved it and I've enjoyed it. 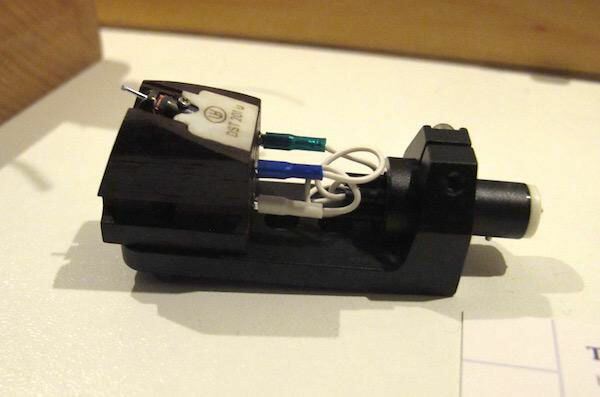 Maybe this was the reason why my cartridge making was somehow heading in the direction so far. Adding boron cantilevers to my program, the sort of characteristics are even more pronounced. But "Why does it have to be?" "What about 'Matthias Dammann'?" 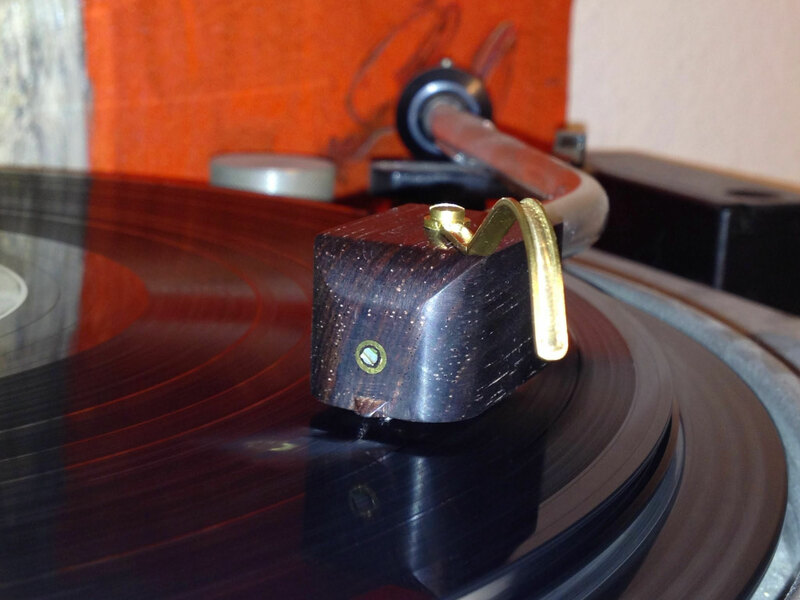 M. Dammann is a producer of classic guitars who likes to work with "Ceder", an another sort of tone wood with another characteristics of sound. These thoughts overcame me on that day as I opened my material cabinet. 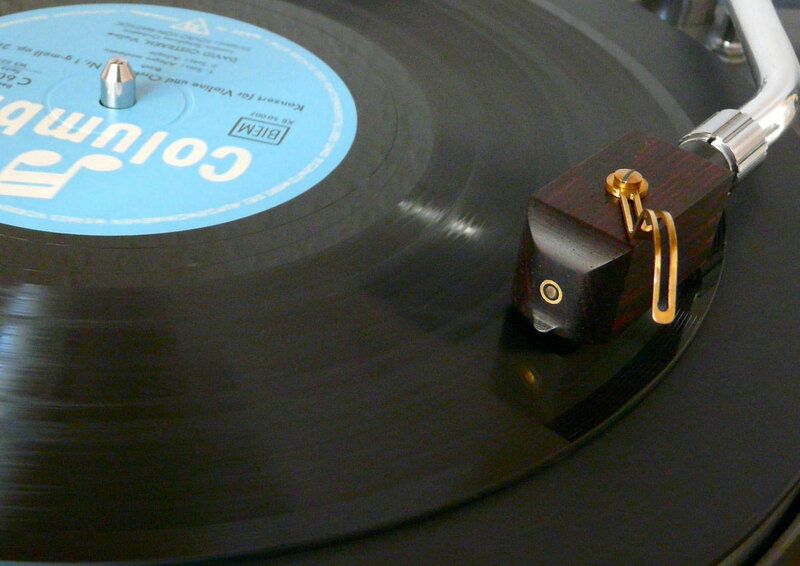 A melody played by his beautiful cedar-made guitar popped into my head. "Cedar.... Cedar..." It must have been quite a while before I discovered a small box in the cabinet that kept smiling and waving at me. I opened it. In there, was a thing that was wrapped in the veil of oblivion which reminded me of the old lecture from a dear master. It was more than a decade ago when I had read his study. "Ok. it's time to try out!" I took it out of the cabinet. Now I am able to validate his concerns and pay homage to his principles. "Cedar"
20. Mar. 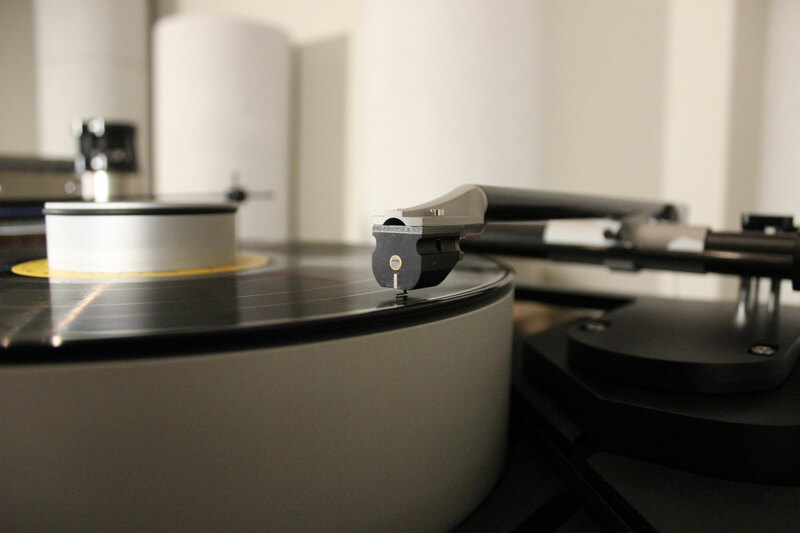 2018 - Stereo cartridge 4th generation - The first example from the TEDESKA Stereo "Solid Core" line has been tested successfully. It is actually a development of the third generation (DST201ua) from 2017, but the sound characteristics are changed so much, and much of them in a positive way, that makes it indispensable for me to differentiate from the former. The combination of a air core coil generator and a totally new winding technology must have worked. Armed with a boron cantilever, the line inherited yet the character "a" because none of the examples from the 3rd generation is distributed as yet. I personally would name the line "Impressionist". I wonder how many people will agree with me. The character "b" is reserved for the TEDESKA "Progressive" line. 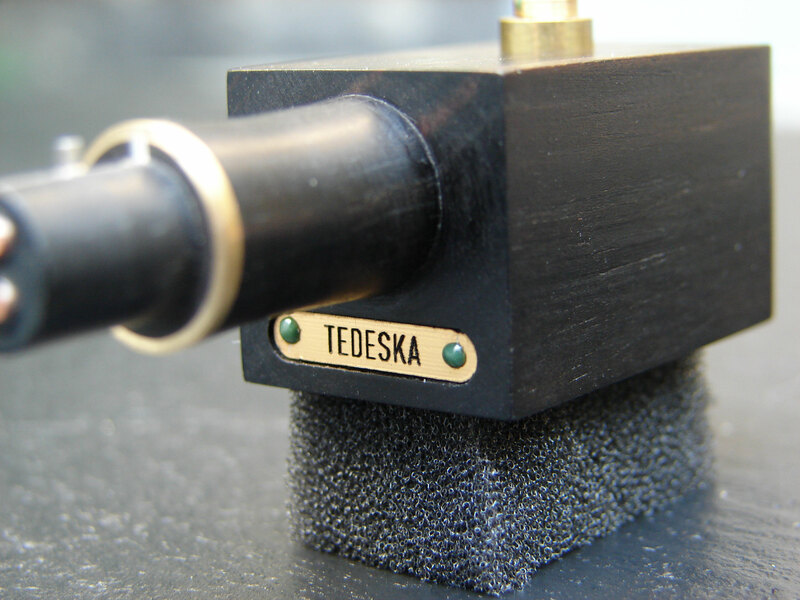 The line retained the existing TEDESKA characteristics more in comparison to Solid Cores. 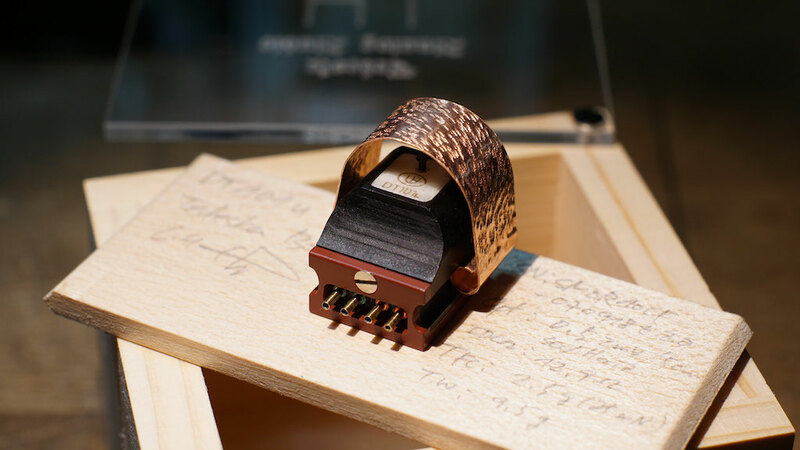 Taking extra advantages of boron cantilever, the cartridges of this line will be "grand pianos" among our products which will provide us, customers as well as me, with versatile possibilities of use as well as of customize. 25. May. 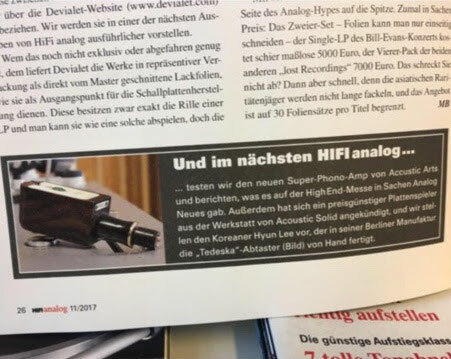 2018 - A beautiful photo of TEDESKA new showcase with a brief comment is published in HIFISTATEMENT Fair report. 16 -17. June. 2018 - TEDESKA made a debut in Japan on OTOTEN Audio-Visual Festival 2018. 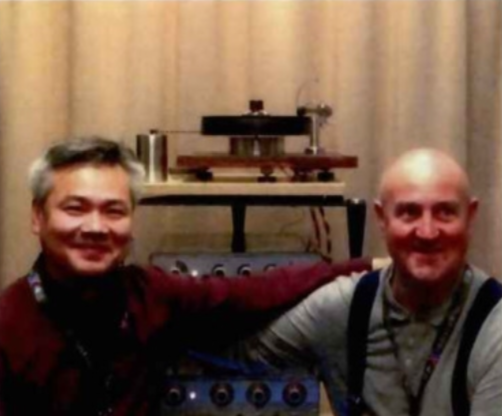 Due to time constraints, our DST201ub had to meet alone with the Japanese customers in Tokyo. Nevertheless, "Everyone was totally impressed" reported Mr. Asahi in writing immediately after the show. 21. August. 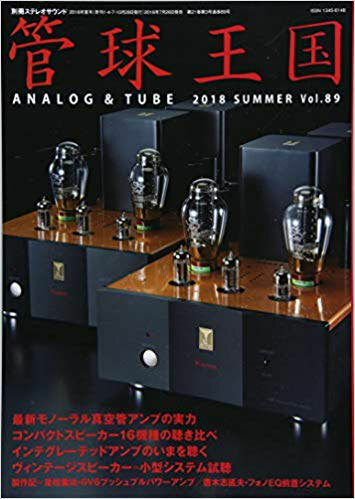 2018 - A beautiful review in Japanese written by Mr. 井上千岳 is released in Audio Accessory Japan. 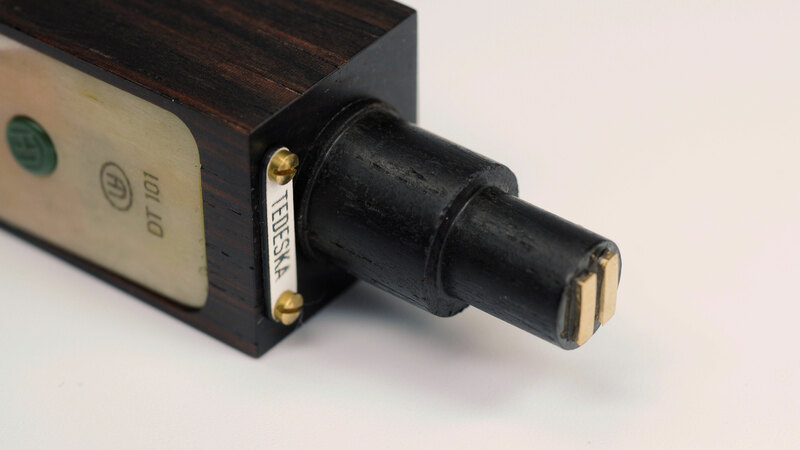 Under the rubric "Recommended Products", were TEDESKAs 3 stereo half-inch systems, DST201u & -ub as well as -ua introduced by comparing. 4. January. 2019 - New year new shape. We made some changes happen which are supposed to facilitate our packaging process. Let's see whether ⬅ this tiny solution for example, will prevent me from scribbling all around the cartridge. 20. February. 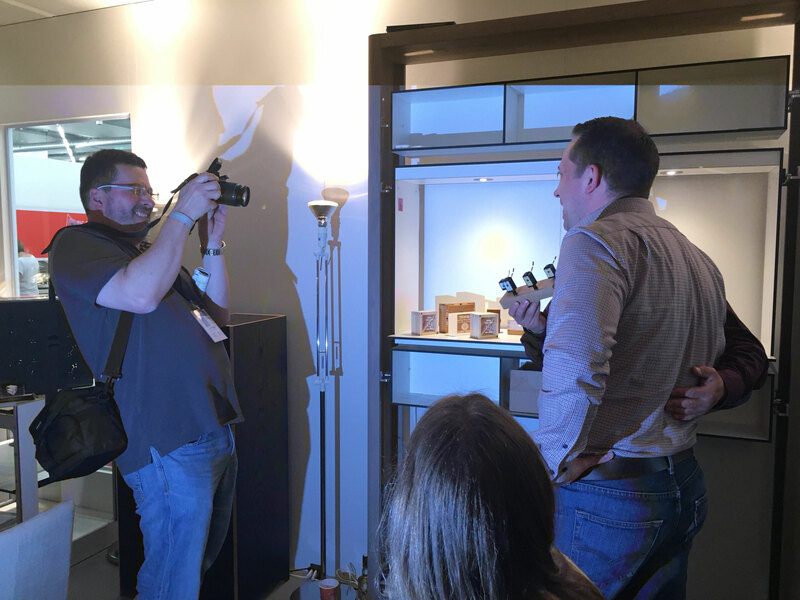 2019 - Mono Hybrid generator performance testing -"A big accomplishment"- An upgrade of mono EINS line is just around the corner. 8-10. March. 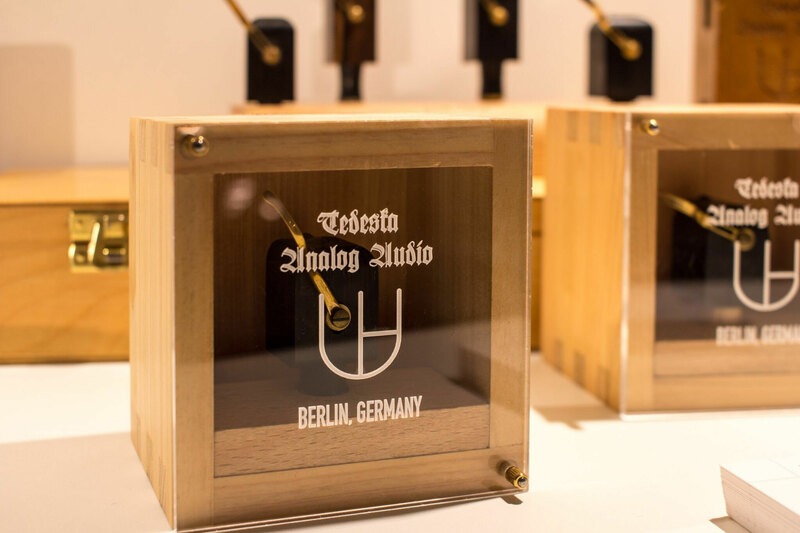 2019 - TEDESKA mono EINS line DT101u on 2019 Seoul International Audio Show. 14. March. 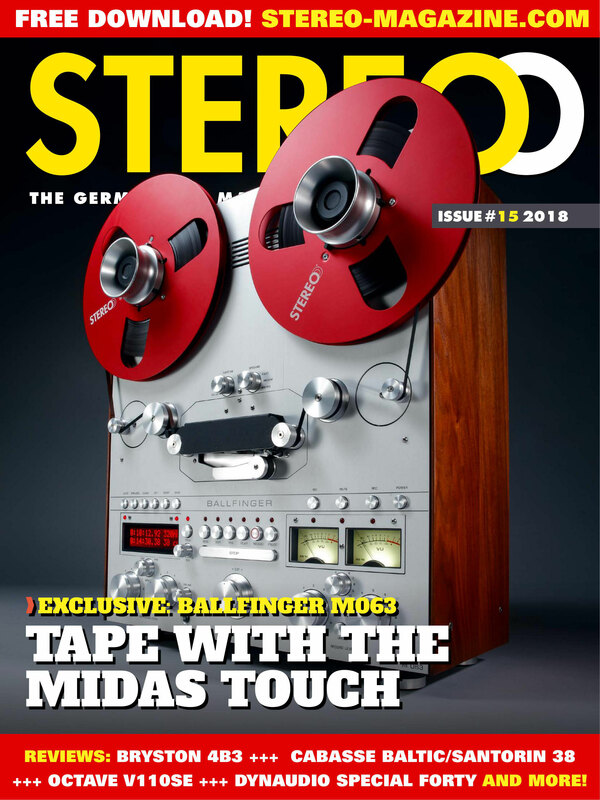 2019 - TEDESKA DST201ua is chosen for the "Recommended Components 2019 Edition" by Stereophile USA. 18. April. 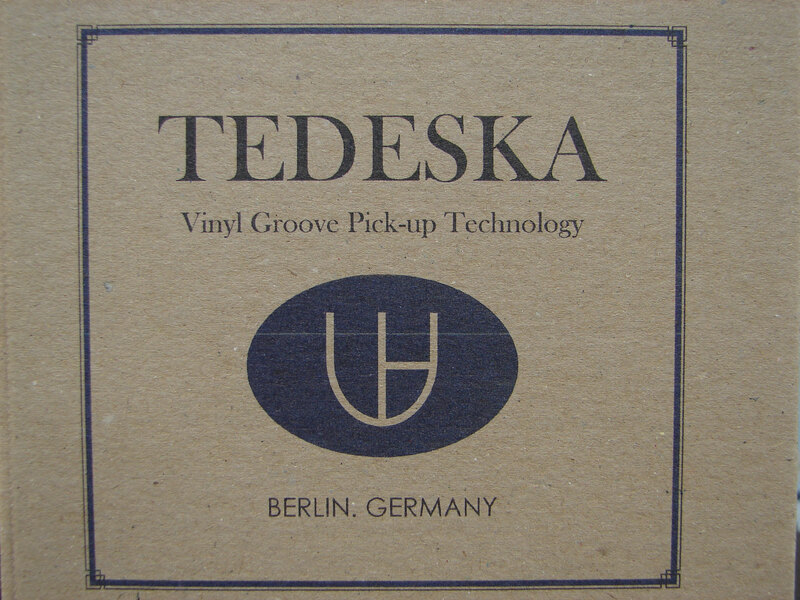 2019 - TEDESKA won the first Grand Prix in Japan. 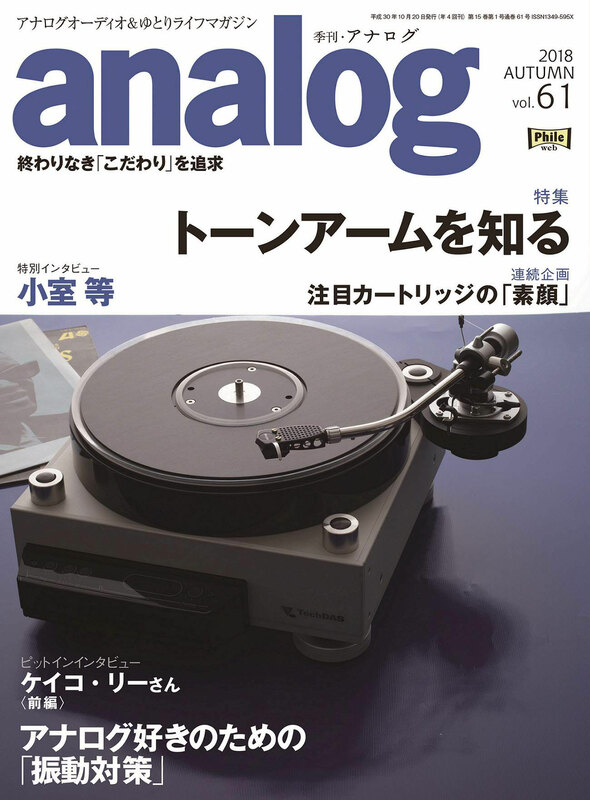 The Analog magazine Grand Prix 2019 Award goes to TEDESKA DST201ub.